Ranikhet is a hill station instate of Uttarakhand.The place is gorgeously snuggled in natural charm and profusion. Once you visit Ranikhet, you can feel absolutely refilled and fresh. This hill station will steal all your worries, Stress and tensions and leave you rejuvenated. Talking about a good Hotel in Ranikhet, you can find it easily because the hill station witnesses a huge number of tourists throughout the year. Since it is so, there is no shortage of good stayovers. So,below are some of the most beautiful places that everyone should visit in Ranikhet. Chaubatia Gardens is at a distance of nearly 10 km from Ranikhet. This name Chaubatia has a meaning. It indicates connection of four paths. It is a massive garden of lush green fields near Ranikhet.The beautiful gardens stretch over an area of six hundred acres of land. The spot is immensely popularfor its splendid orchards packed with titillating fruits such as tasty apples, apricots, peaches and so on. This place gives a heavenly feel to its visitors. Bhalu dam is dotted near Ranikhet is a very eminent attraction for visitors. It is a petite lake built artificially. The sight of this dam is bestowed with natural gorgeousness and charms. The panoramic sites of Himalayan Mountains, attractive calmness and picturesque surroundings make the place heavenly for everybody. These spot talks about the excellence of this hill station. After all, the thrill doesn’t halts here; a tiny but beautiful garden near this dam is wonderful. Singing of birds, refreshing breeze and grand snow-capped valleys make this entire area of the dam an amazing one. Majkhali is at a distance of about thirteen kilometres from Ranikhet. This gorgeous sightseeing place is a must visit for nature admirers. The place caters stunning views of Mount Trishul.You can perform your picnics at this heavenly spot.Moreover, if you want, here you can try your hand on outdoors games too. This place is quite far from hustle bustle of the busy streets of cities. You can also relish melodious sounds of peaceful surroundings and lovely chirping of the birds. If you are an adventure lover thenthere are an also a few walking trails around slopes.However, it is Worthing noting that you can explore the richness of this spot within the time of 7am to 7pm only. So, make time for this rejuvenating spot within this time bracket! 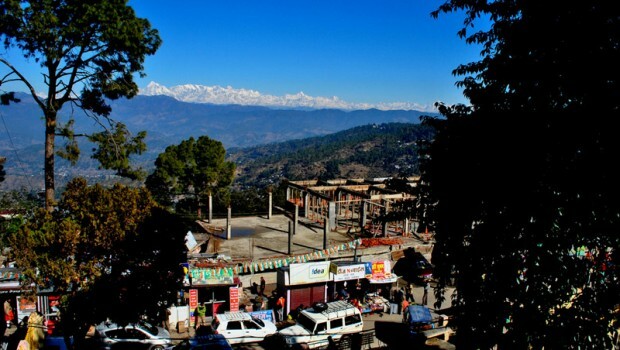 Ranikhet is crammed with plenty of sunset points that cater view of snow-capped Himalayan Mountains. The places have been considered to be one of the most fascinating spots to visit in city.The most protuberant amongst such spots are Machkhali located near woodvilla point between the places of Ganiadeoli and Transit Camp.These Sunset points are extremely close to sublime natural beauty. So, just check out Ranikhet hotel for your stayand have a pleasing and pleasurable time in this beautiful hill station. After all, the place will fill you with charm and delight for sure.